Your Engineering Solutions (Pvt.) Ltd. is an Official Distributor of Cielo WiGle Inc., USA. Cielo is a Delaware corporation with head office in Redmond, WA. Cielo is a pioneer smart home company with global footprint. YES is exclusive partner of Cielo in Pakistan territory. 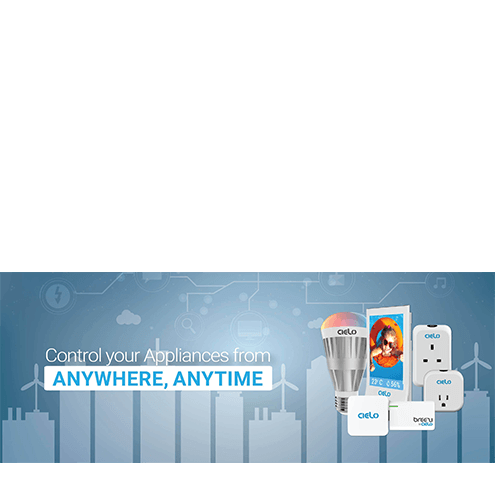 Cielo with its partner YES are geared towards a connected smart home for Pakistani customers which is modern, secure, convenient, affordable, maintainable and fun. The Cielo Product Basket is all you need for an all-encompassing smart home which does not require you to replace anything but to add and improve upon the existing things you have.